The EY ITEM (Independent Treasury Economic Model, a Club economic forecasting group based in the United Kingdom, is the latest to call for a delay in the Bank of England rate hike. As per BBC report, " the group called on the bank to wait another year before raising the benchmark rate from 0.25% to 0.5%." Last week, the British Chambers of Commerce and ratings agency Standard & Poor's said the economy was not strong enough to warrant a rate rise. 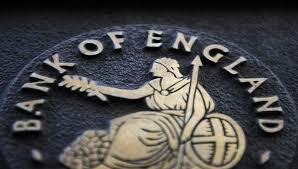 However, markets still expect the BOE to hike rates in November.